Fun fact: the entire second floor of our house is a media room. Except we've only been in it a handful of times since moving in and I certainly haven't done much to decorate it. Until this week. While Ryan has been busy installing a projector, screen and all sorts of tech-y stuff that makes no sense to me, I've been busy trying to pimp the place out. And you know what they say, pimpin aint easy. 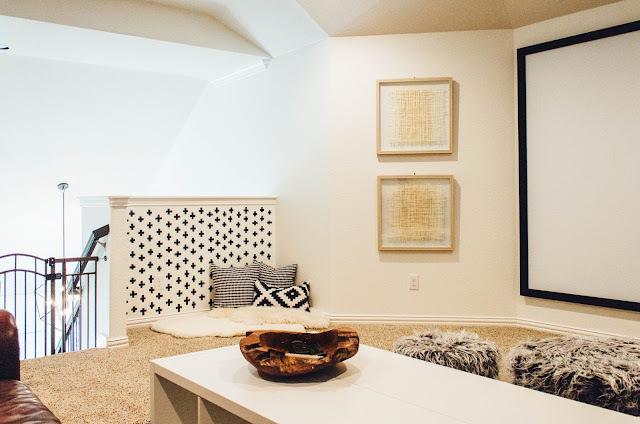 We'll save all the details of the space for a different day a.k.a. a day that it's actually complete. 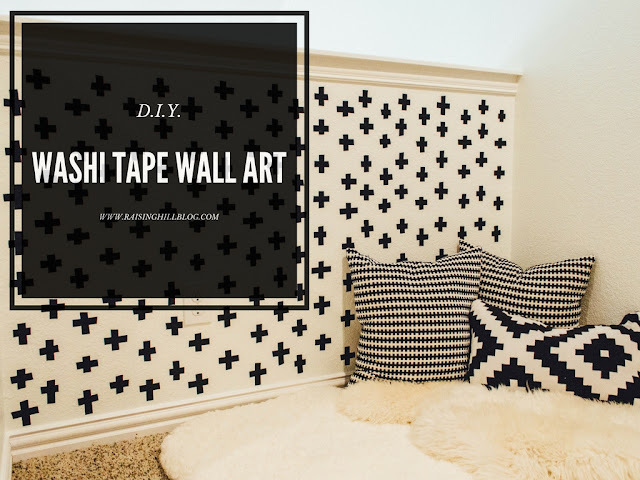 Until then, I'm dying to share with you how I used washi tape for a fun art project! As usual, I didn't take step by step pictures, mainly because my photographer (Ryan) was busy working on the tech-y stuff. #yourefired I don't really think y'all need that though, because it's fool proof. I prepped the wall by giving it a quick dust with a damp cloth. Honestly, that's the only type of prep work I did. I didn't measure anything or dry fit anything. I just got down and dirty with the tape and kept everything aligned by eye-balling it. And I have to say, it worked just fine. To help seal the tape, I did zap it with a hair dryer, but I don't know if that makes much of a difference. And there ya have it! 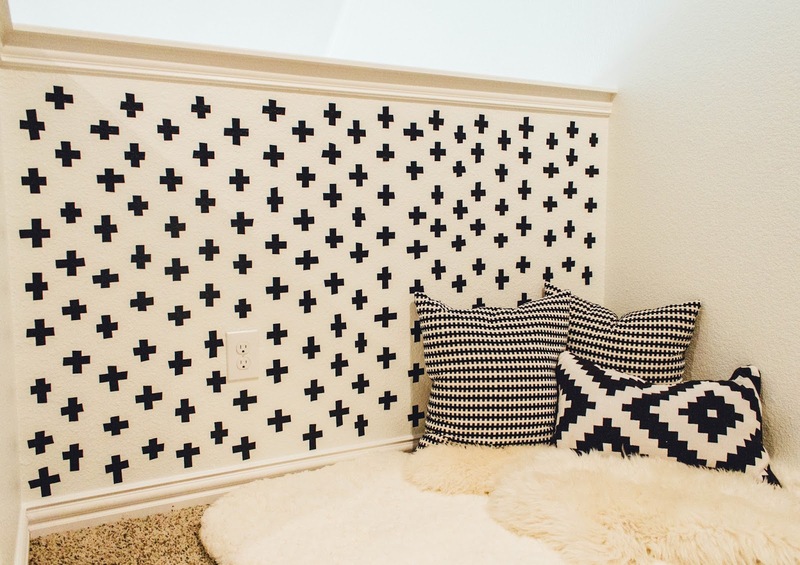 A fun accent wall that costs less than $5. You can't beat that! Home decor is tough for me. I always go for the most difficult projects on Pinterest. Using washi tape can really simplify things, yet gives it a nice personal touch. I absolutely lovelovelove this! It looks so edgy and fun! Awesome DIY idea, for sure. Turned out great! Great DIY! I love how cute this turned out! Sucha great idea! So stylishly simple even I could do it! I wonder if it would be hard to adapt it into a houndstooth print? What a fun idea! And because it's washi tape, you can take it off and do something new when you get tired of how it looks now. That's pretty cool! It gives me an idea for the loft area in my new home!